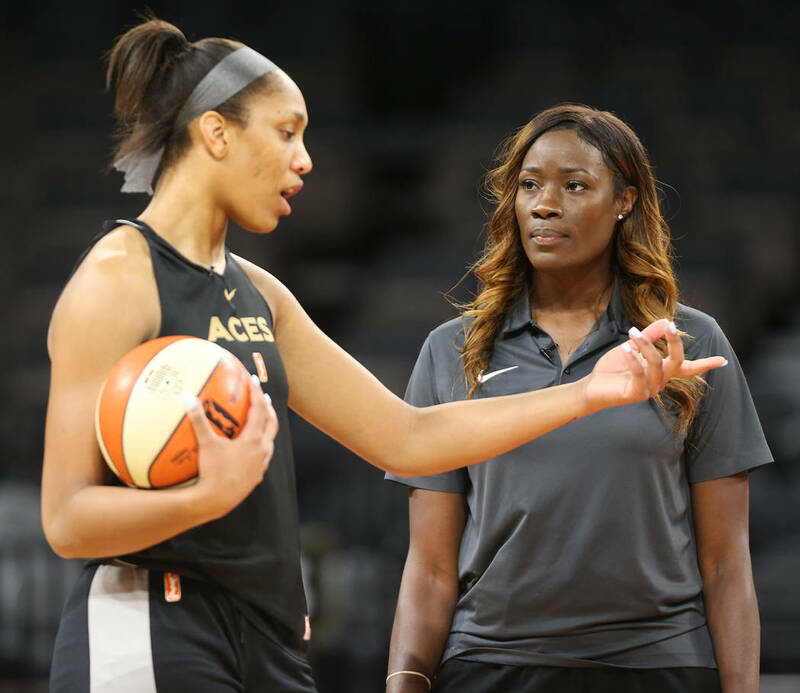 While playing basketball in Turkey this spring, Aces guard Kayla McBride received an inquiry from a new team staff member named Rushia Brown. 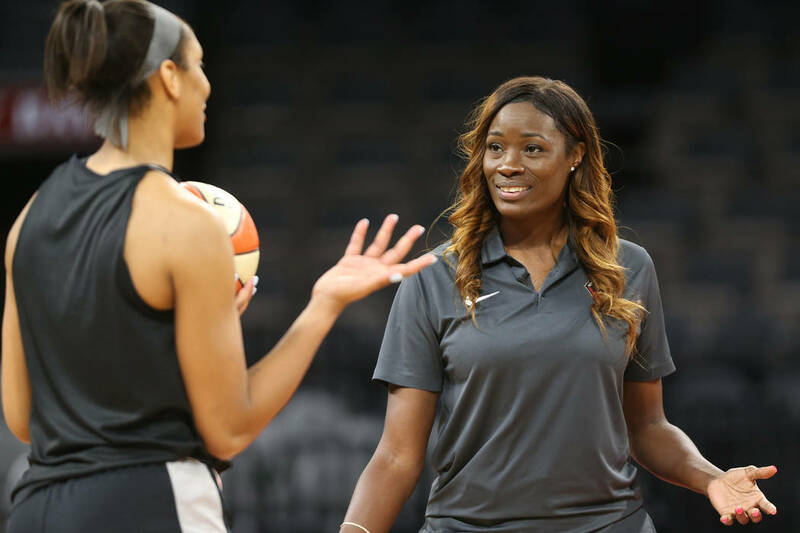 Brown, who played seven years in the WNBA, is the team’s player program and franchise development manager. 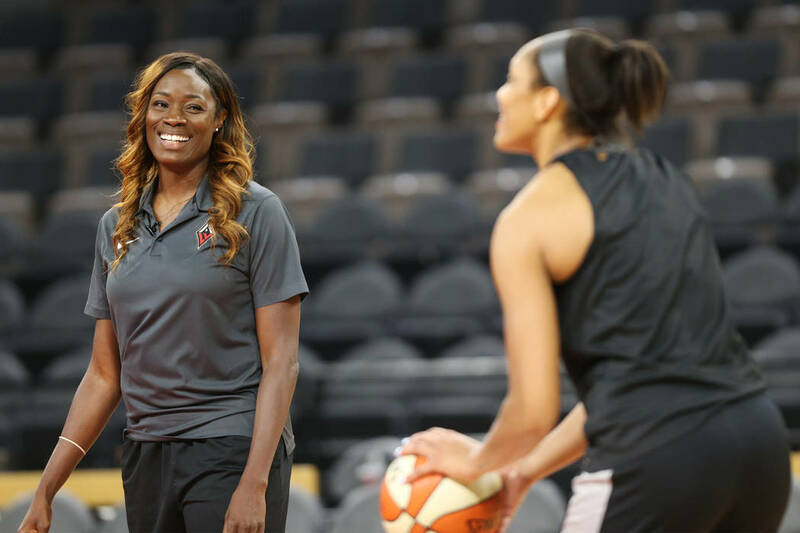 It’s a unique position in the WNBA in which she helps Aces players curate their personal brands away from the court. 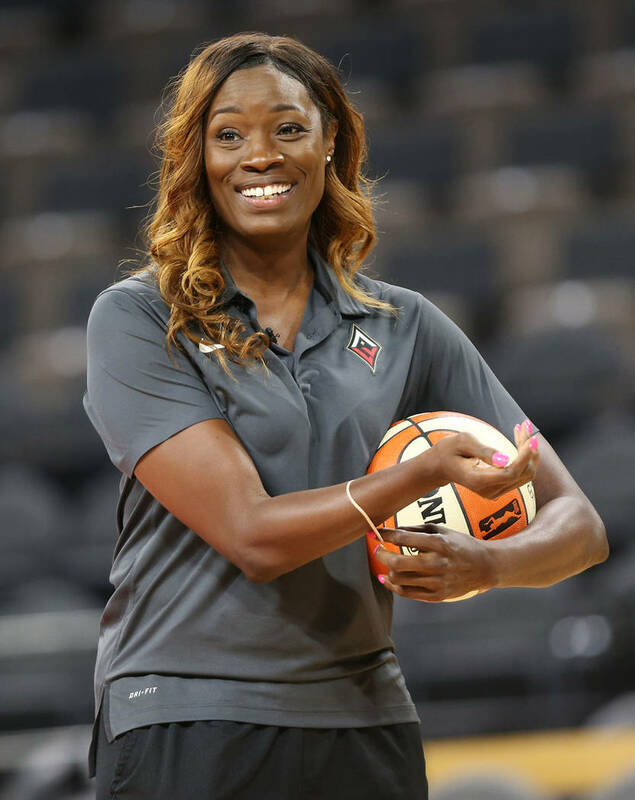 She also serves as a motivational speaker and the team’s color commentator on its TV broadcasts. 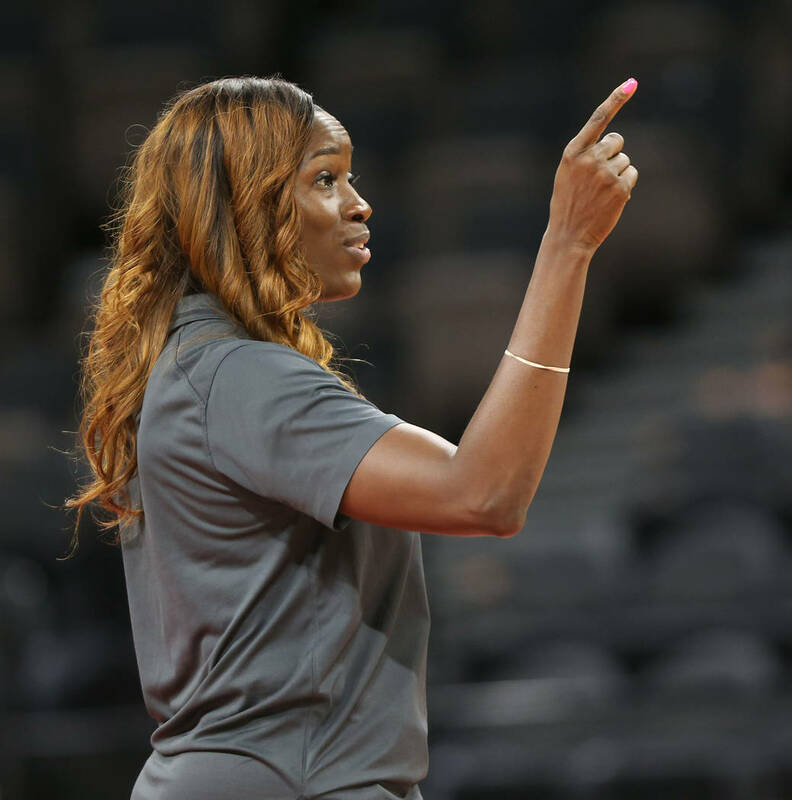 And, in 2010, Brown founded the Women’s Professional Basketball Alumnae Association, an organization that provides resources for retired players as they move on from basketball. 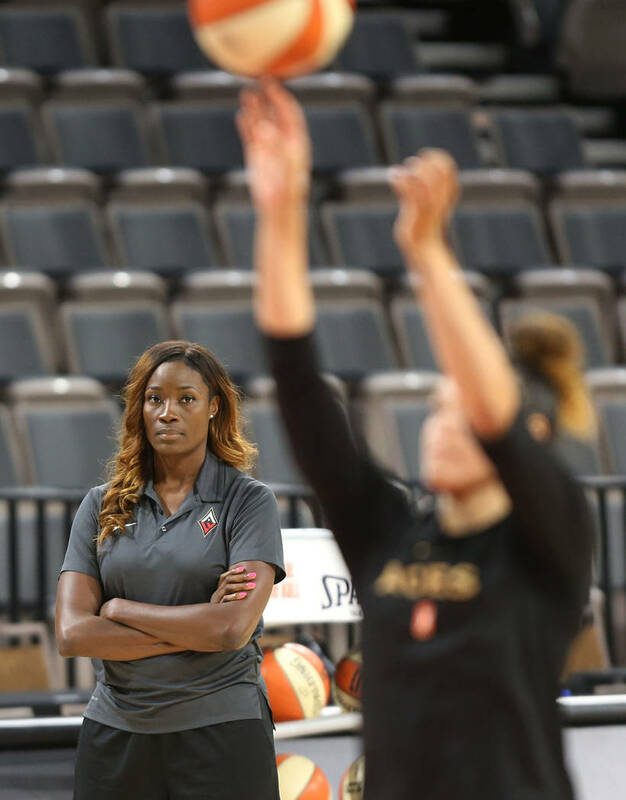 Aces coach Bill Laimbeer, aware of Brown’s post-playing resume, hired her to the new position in the offseason. She moved from Atlanta to Las Vegas in March and wasted no time immersing herself in the team and the city. 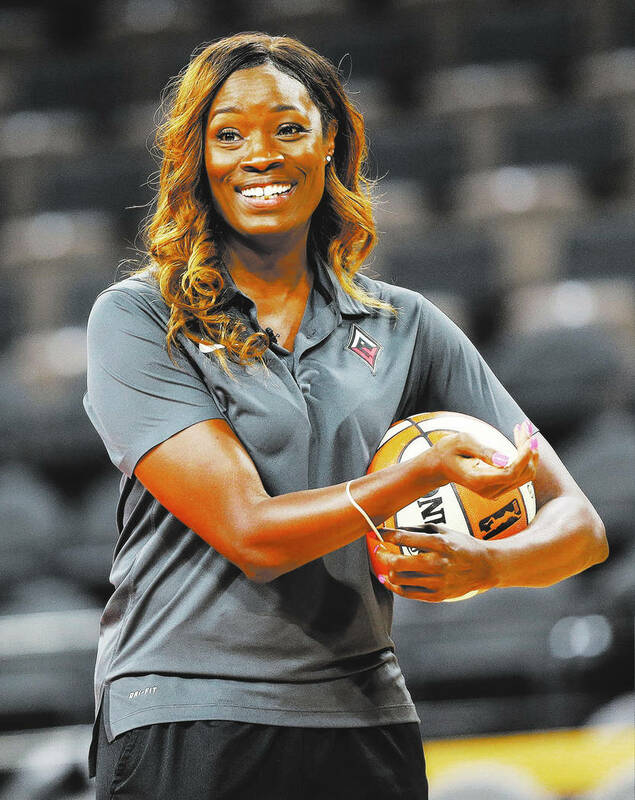 Brown’s interpersonal skills actually helped propel her to a long playing career, first at Furman University, followed by a stint overseas and then in the WNBA with the defunct Cleveland Rockers. She wasn’t a star, averaging 5.9 points and 3.4 rebounds from 1997 to 2003, but she maximized her opportunities and established relevant connections with benefits beyond basketball. In turn, Brown dedicated her life to working with young women and used basketball as the bridge to teach pertinent life skills. 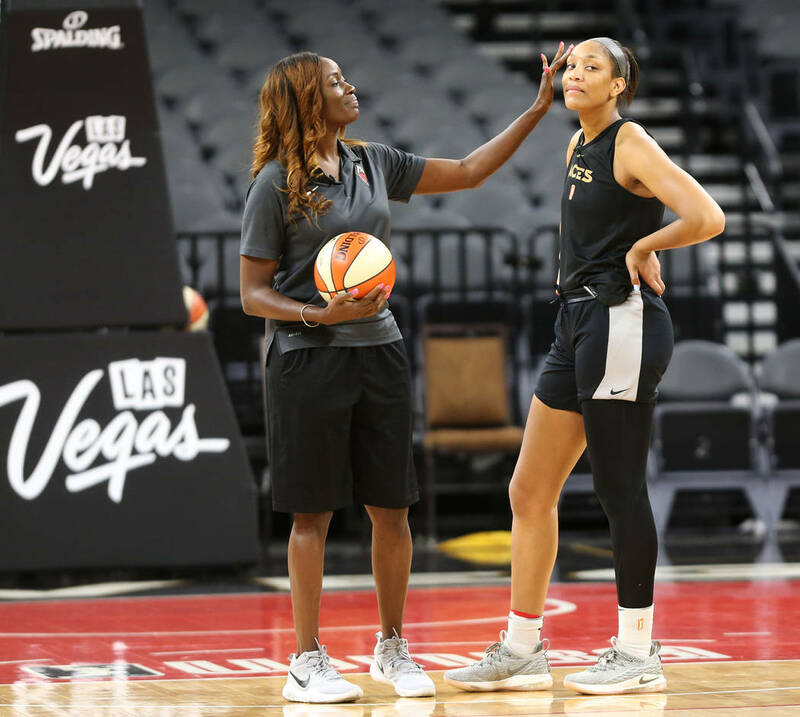 She’s the president and CEO of OverTime Basketball Academy, a nonprofit that provides tutelage and resources for young players. And then there’s the WPBAA, which she founded after meeting at a charity game a former WNBA all-star who was homeless at the time. After arriving in Las Vegas, Brown contacted Aces players and implored them to disclose their other interests. Several, including McBride, were responsive and have worked with Brown to cultivate local connections. McBride and teammate Carolyn Swords have met some well-known local chefs and plan on teaming up for some celebrity cooking in July. Other players have interests that they’re working to fulfill during the season. Brown’s interest is in assisting them in their pursuits. About the Aces: Las Vegas (5-10) has won four of its past seven games after a 1-7 start. But its play against defending champion Minnesota was uninspiring. The Aces missed several layups and shot 41.4 percent from the field while allowing the Lynx to shoot 55.1 percent. Aces star rookie A’ja Wilson scored a season-low 10 points, half her average, on 4-of-9 shooting. About the Wings: Former No. 2 overall pick Liz Cambage is back in the WNBA after a four-year hiatus and is averaging 20.0 points and 9.8 rebounds. Skylar Diggins-Smith is averaging 19.2 points and 6.4 assists for the Wings (6-6), who defeated the Aces 77-67 on June 15.